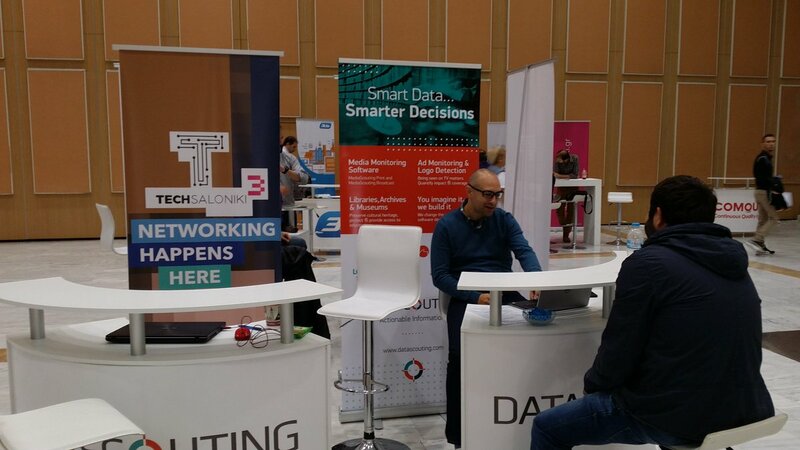 Following the big success of TechSaloniki, DataScouting was happy to support the sequel #3 as a sponsor. 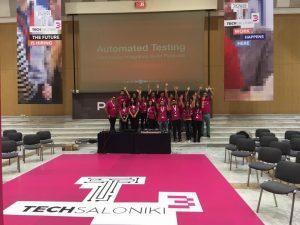 TechSaloniki, organized twice this year, is aiming at becoming the No1 annual skill matching event in information technology in Thessaloniki. 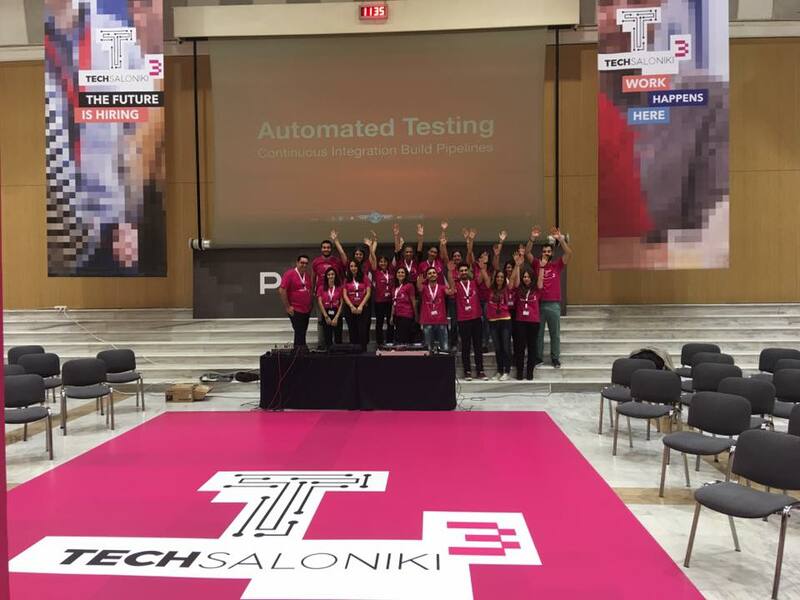 The 2-day event took place earlier this month at the “Ioannis Vellidis” Congress Centre from 7 to 8 October. 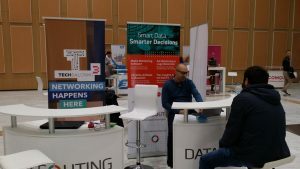 Some 20 companies took part in the event offering more than 100 jobs (such as web developers, mobile developers, software engineers, IT consultants, QA consultants, Quality Test Engineers, Project Managers, Data Scientists). 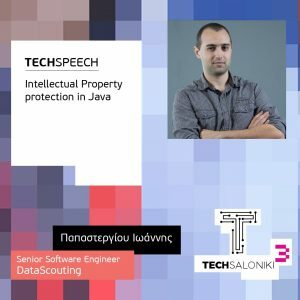 DataScouting was represented by Anastasios Avramis (Managing Director), Stavros Doropoulos (CIO), Efthimios Agrafiotis (Software Developer) and John Papastergiou (Senior Software Developer). 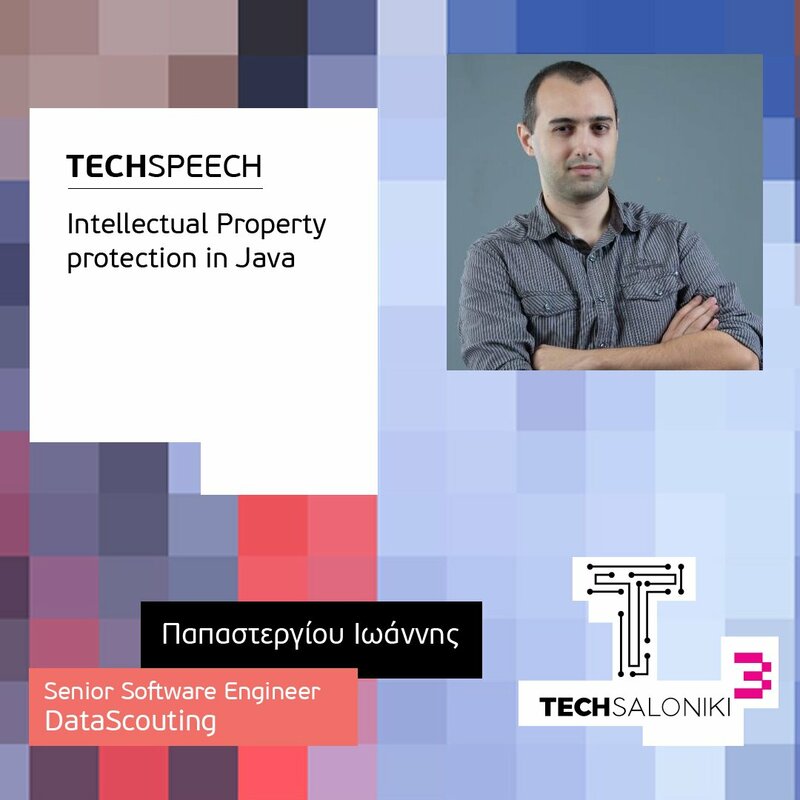 John was also a keynote speaker about “Intellectual Property protection in Java”. 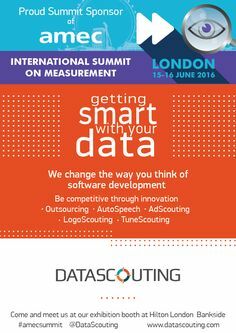 More than 500 people signed up for the event. 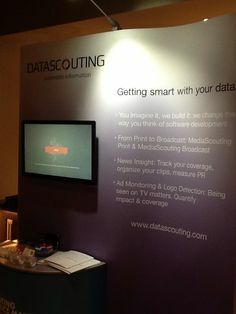 The programme included workshops, presentations from industry experts, screenings, skills matching, job interviews with candidates and non-stop networking. Sophia has a 18-year experience in the media monitoring and analysis industry, while she is currently a Vice President of FIBEP (world’s media intelligence federation), and a member of the AMEC/FIBEP joint Content and Copyright Group. She holds a PhDr in Mass Communication and Journalism and speaks four languages. Sophia is a conceptual media thinker, communication believer, marketing digger and an@lysis enthusiast.